Great product at a great price! I love to leave it playing in the background. 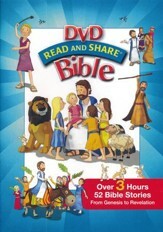 Bible meets DVD for kids! Love that the bible has been visually transformed into DVD now for kids of all ages which is a nice addition to anyone reading a bible to their child.